Transportation Improvement Program (TIP) for 2012-2015 Comment postings may take up to 24 hrs, because this process is being done manually. All postings are ordered chronologically by time of receipt. 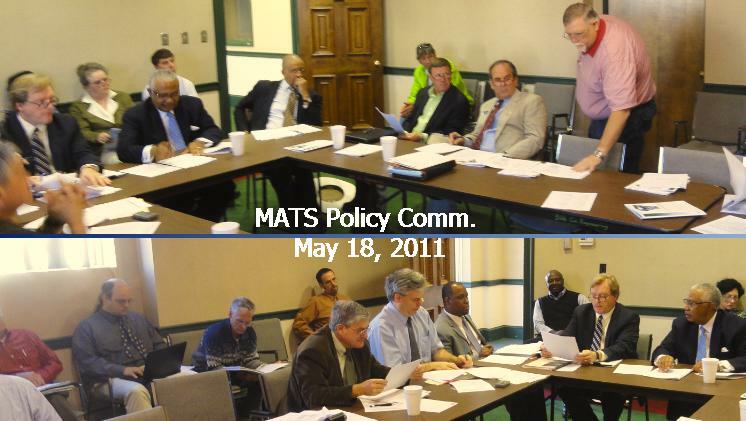 MATS Policy Committee passes the Draft TIP on May 18, 2011. Public has the 30 following days to comment on the proposed transportation projects. automatically forwarded to Ken North, Planner with Macon-Bibb Planning and Zoning; and to Lindsay Holliday, Citizens Advisory Committee of the Macon Area Transportation Study. Please include your mailing address and phone. Thank-you. Of all the tree-shaded roads, Forest Hill Rd is one of the best and should remain so. Something needs to be done at Wimbish, Old Lundy and Ridge and the rest of the road should be left as is!!!!! I will not vote for Elmo Richardson or Sam Hart if they allow this distruction of a neighborhood road. POT-HOLES ON A DAILY BASIS IF WE LEAVE OUR STREET. DO WHAT WE HAVE ALREADY PAID YOU TO DO. JUST RE-SURFACE THE STREET AND LET'S MOVE ON! Forest Hill Road has been in a terrible state of repair since I moved back to Macon almost 6 years ago. The continuous filling and refilling of potholes only makes the road more hazardous in terms of safety as well as wear and tear on everyone's cars. I live off of Forest Hill Road so am traveling the road constantly. I do not see a need for a widening of the road. The state of Macon's roads has declined terribly. The city's infrastructure is in decline. I was born and raised in this city and it makes me sad to see the condition now. There's really no excuse for allowing the degradation to occur. I say repave Forest Hill Road as soon as possible and stop expansion efforts. This has gone on long enough!!! The taxpayers deserve service and they are not getting it. I want a safer, less expensive road. I prefer the citizens' proposal over Moreland's current plan. I live just off FHR and would prefer the speed limit to be decreased. In the meantime, while all this is being fought over unnecessarily, I want the road repaved. I have experienced higher wear and tear on my vehicles since moving to the area than in all the time I have owned those vehicles before moving. People swerve to avoid potholes, but end up on the shoulder and/or middle of the road doing so. FHR was much busier when the old Macon Mall was a shopping destination, as it was a good cut-through to Napier Avenue and Edna Place. Now that Macon Mall is too unsafe to visit for women and children, in my opinion, FHR just isn't as highly traveled. It does not need to be wider, it needs to be safer. We need to decrease the speed and increase the safety. Holding onto this losing project is a waste of taxpayer dollars and ridiculous, considering the other option(s) available. This road has been assessed by several other well recognized urban planners and road designers who argree the current plan is not optimal. The current plan is based on inflated #cars/time counts. The current plan will be dangerous because the widening will engender speeding in a residential zone. It will also unecessarily ruin a solid middle class, tax paying MACON base. I am opposed to the Forest Hill Rd (FHR) project as currently designed. I do support the immediate resurfacing (repaving) of FHR. I suggest the replacement of the Moreland-Altobelli managers and the hiring of a more progressive management firm. Here is a link to the article in the Macon Telegraph last Sunday that citizens only have about two weeks to comment on the various road projects in Bibb County. Please consider my voice added to those who call for routine maintenance to Forest Hill to be performed and also those who support a safer, lower speed plan for this roadway. I also support the increased use of roundabouts at intersections. It is understood that we reward companies for developing more expensive plans. It is the job of our elected leaders to act as a brake on that tendency. It is the job of voters to replace elected leaders who don't do their jobs. Forest Hill Road should be redesigned and improved in the same manner as Tucker Road was. Nothing more and nothing less. Many senior citizens can’t pay for much-needed medicine and eat decently too. Many families can't afford medical insurance. Hospitals, schools and other public facilities are struggling. Yet, "state transportation planners" and other powers-that-be want to raise taxes on everything we buy to pay for super-expensive new by-passes, highway extensions through wetlands, the Spaghetti Junction South Interchange over the Ocmulgee River, and turning Forest Hill Road into a speedway?? Already, millions of our tax dollars are being expended to unnecessarily widen I-75 North in Macon and add new interchanges, while rural road surfaces deteriorate and bridges decay. We’re told that we can’t go back to pre-Bush income tax levels for the very-wealthy, and that we must continue to subsidize Big Oil and allow other hugely profitable corporations to pay no taxes at all. Yet, it's OK to ask Georgia's poor and Middle Class citizens to bear the burden of increased taxes to pay for highway expansion?? NO, NO, NO!!! As a taxpayer, I am opposed to the Forest Hill Road project as currently designed by Moreland-Altobelli. These goals can be achieved with less expensive, cost-effective alternatives. Less expensive, cost-effective expenditures of taxpayer dollars for the Forest Hill Road project include simply resurfacing Forest Hill Road and redesigning some intersections, especially Ridge at Forest Hill Road and Wimbish Road at Forest Hill. As a taxpayer, I support less expensive, cost-effective expenditures of taxpayer dollars to improve Forest Hill Road. Forest Hill Road is under served by all the planning that has been implemented at great expense to the tax payer. Please get this road up to a safe standardl This can be done quickly and cheaply by resurfacing the road. Traffic counts do not justify any form of widening. Just resurface FHR as has already been implemented from the intersection of Northside Dr. to Wesleyan Dr.
Fifteen years ago, when we first came to Macon and were looking for housing, I distinctly remember how beautiful Forest Hill Road appeared to us. Please, let's not ruin it and make it into another major speedway. Roundabouts and sidewalks would be so much more reasonable. These would help improve safety and traffic flow and provide Macon with an additional SHADY place to take walks and maintain our health! The Bicycle-Pedestrian Plan adopted by the Macon Area Transportation Study states that facilities for bicyclists (as well as pedestrians) should be included in ALL TRANSPORTATION IMPROVEMENT PROJECTS. However, the Jeffersonville Rd. project, (on p. 17 of TIP) from Emery Hwy. to Walnut Creek DOES NOT INCLUDE FACILITIES FOR BICYCLISTS despite the fact that such facilities would greatly augment/enhance bike routes in the area. A bicycle lane/path added to this project would afford many East Macon neighborhoods connectivity with Downtown Macon and/or the Riverwalk by allowing a cyclist to go safely through the Ocmulgee Nat. Monument, out the back gate and to the river or by skirting the entrance to the Monument and accessing Main St. where it dead-ends near the Monument's entrance. Also, the Walnut Creek Bridge project, p.18, does not include facilities for bicyclists as it should and must. Regarding Forest Hill Rd. projects, p.21-23, facilities for bicyclists are not included and this violates the goals and objectives of the MATS adopted Bike-Ped. Plan. Including bike facilities would afford connectivity between a wide swath of neighborhoods in the Forest Hill area and the commercial areas along Vineville/Forsyth Rd. and, via Ridge Ave. and local streets in the Vineville and Pleasant Hill ares, connectivity between the Forest Hill area and Downtown Macon. Finally, the Draft TIP is defective in that is fails include Traffic Noise Barriers for heavily noise impacted residential areas along I-75, south of the Hardeman Ave. exit. The noise impacts are well evidenced by GDOT noise measurements and by noise measurements taken by a local resident (myself). TRaffic noise barriers in the impacted areas would protect/promote the public's health as well as the community's renewal/revitalization in the heavily impacted areas. Please include these comments in the TIP. We support reconsideration of the current re-design of Forest Hill Road. As residents of Ridge Avenue who use Forest Hill Road on a daily basis, we believe that the proposal submitted by Moreland-Altobelli is not founded in fact or in reality as it exists currently. The work done by our neighbors and concerned citizens substantiate this. Not only would the plan be destructive to our neighborhood and fail in making Forest Hill Road any safer but also a waste of tax payer dollars which cannot be tolerated at any time but especially in the economic times we are now experiencing. As representatives of the people, please do not allow this huge mistake to be made just in the name of saving face or bowing to outside political pressure. Thank you! Let's take a reasonable approach to this neighborhood road issue. Forest HIll Road does need a 3rd, turn lane, which will solve the bottleneck problems. It doesn't need sidewalks and other expensive redesigns. That neighborhood does not need someone from out of town deciding how to wreck a neighborhood or waste OUR tax money. We have so many other, pressing needs for our tax dollars. Roundabouts....The common sense approach to making our roads safer and smoother.Let's do this at forest Hill Road! I would like to express my disgust and displeasure to the GDOT, Moreland-Altobelli, Bibb County Commissioners, and Robert Reichert re: the current design plan for Forest Hill Road. I travel this road every day, and the traffic on this road has fallen off dramatically since the project was first designed. The proposed design is overkill and completely unnecessary and will ruin housing values and the community detrimentally affected. I resent the fact that this road has been allowed to completely deteriorate in a petty fit of pique. The FHR has proposed a very reasonable design that would solve the road's problems AND save money. Given the state of the economy, I would think saving every tax dollar possible would be the goal, so the fact that this isn't being considered makes me think that there are pay-offs and pockets being lined. If you really want to tinker with a road, go look at Bass road. It's traffic count has skyrocketed and it is a narrow road with a narrow bridge. DO NOT ruin FHR under the guise of "improvements". I would like to voice my displeasure with the current plan for Forest Hill Road. I am astounded at the complete disregard for citizen input with this project. The plan is over sized and will significantly damage this thriving neighborhood. Those in charge have consistently ignored the pleas of the residents and other citizens to make some simple, thoughtful and less expensive design changes. These suggested changes (by qualified urban planners) would solve the many dilemmas of this project. I believe it is the intent of those in charge to allow this road to deteriorate to the point that residents will be so frustrated they will just walk away. For those who think the plan is so wonderful, look around anywhere in this country where cities are thriving and you will see a totally different approach when designing roads. Look in Macon and Bibb where roads have been super sized with 60's thinking, and you will find neighborhoods that have suffered, deteriorated and ended up being unwanted zones of rental property. We can't afford to lose tax value on anymore property in this town. My plea to those in power....apply some sensitivity to this project, fix the curve, widen to a safe size and incorporate safer bike/pedestrian options. Above all, respect this neighborhood. Please abandon the current oversized plan in favor of one more appropriate for the neighborhood -- as well as the current traffic counts, rather than the radically overstated projections from years ago. Forest Hill Road needs resurfacing and the addition of some turn lanes. It does not need to be turned into a superhighway. Isn't it just a matter of safety, fiscal-conservancy and quality of life - common sense? accidents and deaths would increase beyond the already high-rate categories that Macon & Bibb County fall into. Create. You can read more under their Q&A articles below. A) Current $cost estimates, to re-engineer approximately 2.5 miles of Forest Hill Road, have escalated to $26-36million. The AJC reports that since the current recession hit, road building costs in other areas of Georgia have plummeted more than 43 percent. plan designs to insure that our local, state & federal tax dollars are being spent conservatively and wisely on FHR? solutions could be quickly implemented at a fraction of the current $26-36million estimate. having more trees.” Ms Head went on to say, "the plans are to have a proposed ordinance drafted by the end of the year. "Agencies addressed it with the press only when an AJC reporter noticed, too." Forest Hill Road needs to be resurfaced and it will become a safe, efficient roddway. This can be done at a much cheaper cost than what has been proposed in the past and can be dome much quicker. Recent surveys show that the road is not being utilized as had been predicted. This fact alone should tell all concerned that simply resurfacing without any additional improvements will solve many of the FHR problems. Please use roundabouts at the busy intersections of Forest Hill Road. While visiting Mt. Pleasant, SC, a suburb of Charleston, it was noted that roundabouts were used. They are the least invasive and provide greater safety to citizens. Traffic continually moves and they discourage speeding. "Don't cut down the many thousands of trees marked by Moreland-Altobelli during the 'FHR tree study'. Don't bulldoze the Forest and the Hill out of Forest Hill Rd"
I also support roundabouts. It has been shown that they work and save lives. I live in the Forest Hill Road neighborhood area. I feel it would be a complete disservice to destroy the entire road to only make it more dangerous for fast travelers. Not to mention the flora and fauna along this through fare. It devistates bird sancutaries and other animals that still live in this area, and yes, I've been witness to deer, racoons, turtles and other critters that share our area. I travel Forest Hill to work daily. It is busy and congested the latter part of the week, but has never caused a major delay. A turn lane in strategic areas of Forest Hill would be fine. I personally support roundabouts at the FHR intersections. They are proven to calm the speed of traffic and reduce accidents and injuries. Please help join with this community in keeping our neighborhood safe and intact. I support Rick Chellman’s design of FHR because the current GDOT plan is excessive. My vote for mayor depends solely on this issue,and I am encouraging others to do the same. This is just too much change in road size this is not necessary to fix the problem a two lane road with turn lanes no left turns at some location as ridge ave. The apartments across from the hospital road that enters into forest hill Rd. Should access forest hill Rd. There and have red light. Wimbish should be moved to enter forest hill Rd further down to be a 90 degree angle with light with only left and right arrows. As I said only two lanes with a few minor changes is enough for this project. Please help us to make this road project better than the current design allows us. I am begging you not to destroy our road, it will make people speed faster and will become dangerous. Please resurface the road and provide one turn lane at some intersections. Please do Not tear up the whole road to do this. I live just off of Lokchapee and travel Forest Hill frequently. Other than the poor condition of the road there is little, if any, traffic congestion between Wimbish and Northside Roads. I was surprised and disappointed to read that the effort to unwisely widen that area is moving forward. If there is any problem with Forest Hill it seems to me that the congestion is from Wimbish to the Forsyth/Vineville intersection. I urge you to reconsider the expenditure of these funds unnecessarily in the area selected. I travel back and forth down Forest Hill Rd everyday. I am so tired of dodging pot holes, not to mention the wear & tear on my car. Please at least resurface the road if nothing else. It can't be said any better than the comments below. A great deal of time has passed since the original design and LEEDS GOLD Certification should have been incorporated into the design a long time ago. There is no reason to strip all trees and plants on the new right of way as the current design shows. On my property, they have designed to take about a 30' wide area for permanent right of way for water flow. The only water flow is from my property and there is no reason for DOT to own the 30' area. I don't see DOT maintaining this area on a monthly basis. Why is it designed to take this property when the only water on it is from the area they are taking. This does not seem to be an intelligent design, just a quick drawing on paper from someone that has no idea of what the purpose of a drainage ditch (DOT Right of way) is designed for. I do not understand and no one can tell me why. Also, an area about 50' x 50' will be stripped for a drain pipe and outlet. The current ditch is about 10' deep and 10' wide. What will the increase in water flow do to this ditch? We all agree there are problems at Ridge Ave, but the rest of the road almost never has any backed up areas, especially form Wimbish to Northside Drive. Why can’t that area be repaved and add sidewalks to make it safer for pedestrians. This is a residential street, what do we need turning lanes to get into our house for? Please reconsider this design, fix the problems but don’t leave us with a big barren road like Northside drive is now. Due to people moving away from the city and the economy our property values are already decreasing, this will just kill the value of most houses on the street as well as ruin several that are close to the road now. I wish everyone would stop and realize that getting somewhere 2 minutes faster isn’t worth the damage it does to the neighborhood and to our city. Every day Macon looks more and more like a deserted war zone, crime goes up and more people move away. We need to stop trying to be a “big city” and go back to having a clean, well kept, safe city that we can all be proud of. I agree that there need to be some changes to Forest Hill Road…but I feel the proposed plan is not the one. How about resurfacing the road, add in turn lanes at key intersections/or roundabouts…the idiot drivers in Macon will figure it out. The massive amount of trees designated DO NOT need to be cut down. We need all the trees we can get to keep down pollution. Widening Forest Hill Road will accelerate population loss in Bibb County. Look at all the houses for sale on Zebulon Road, and Vineville, and all the abandoned houses on Pio Nono, Walnut Street (between College St and the interstate) and Mercer University Blvd. Road widening is a form of population management. Please resurface Forest Hill Road and provide one turn lane at some intersections. Please do not tear up the entire road to do this. Also, keeping the canopy of trees is so important. Please do not remove them. In addition, please listen to the voices of the people The Georgia DOT does not have all of the answers. It's utterly absurd to turn Forest Hill Road (a beauty!) into another five lane speedway without trees and green plants as was done for Zebulon Road. A couple of turn off lanes in appropriate places will suffice and still preserve the natural beauty of the road. Besides, there just isn't enough traffic to merit the money you want to spend building a new road. Resurface, turn abouts, preservation of beauty. Think about it. Thank you. Please resurface the road and provide one turn lane or a roundabout at some intersections. Please do Not bulldoze the Forest and the Hill out of Forest Hill Rd. Don't cut down the many thousands of trees marked by Moreland-Altobelli during the 'FHR tree study'. I support the road design proposed by the internationally acclaimed civil engineer, Rick Chellman during mediation. If Forest Hill Road is destroyed I will move out of the neighborhood to a nearby county and become one of those people who commute to Macon to make money to pay taxes somewhere else. Please allow our beautiful city to retain it's Southern Charm. I have lived in Macon for 65 years and use Forest Hill often. Because many of the houses are so close to the road, widening this road would definetly decrease the size of many of the yards which would put residents, children and anyone using these front yards closer to traffic, as well as make it more dangerous to enter and exit driveways. I travel this road at all times of the day and only experience problems at the intersection of ridge/forest hill/vineville at times of people going to and from work. There is never heavy traffic on the road itself. It certainly could use resurfacing. Since the Macon Mall is no longer the main shopping mall, many people have no need to cut across town that way. There are many more road problems in Macon that this money could be used for. Please resurface Forest Hill Road IMMEDIATELY and provide turn lanes for ALL appropriate intersections. Please do NOT tear up the entire road OR pour YARDS of unnecessary concrete to accomplish this! I support the use of Roundabouts at the busy FHR intersections (i.e.-- at Wimbish Road, and Lokchappee/Old Lundy) because they are proven to calm the speed of traffic and to reduce accidents and injuries. I also support the Chellman design proposal, but would be satisfied with what's stated above. We wish to voice our opposition to the Moreland-Altobelli/GDOT plan to widen Forest Hill Road (FHR). We do not think current traffic warrants widening of FHR especially since the plan does not include the section of FHR from Forsyth Road to the Wimbish Road intersection.We also seriously oppose increasing the speed limit on FHR to 45 mph which would create a serious safety hazard. We certainly agree works needs to be done on FHR, such as resurfacing and repairing the potholes. We can also live with having sidewalks, bicycle lanes, and turn lanes at intersections, but we vehemently oppose the Moreland-Altobelli/GDOT plan to eliminate hundreds of beautiful trees. We truthfully believe the $20,000,000 Moreland-Altobelli/GDOT plan is a waste of dwindling road construction resources. We strongly support the Forest Hill Road Mediation plan which could vastly improve traffic and safety on FHR, and can be accomplished for a fraction of the $20,000,000 currently approved for the Moreland-Altobelli/GDOT project. I am writing about Forest Hill Road. There are many alternatives to the Moreland-Altobelli proposal, which would bulldoze too many of our wonderful trees. Instead, please resurface the road and provide one turn lane at some intersections. Please do Not tear up the whole road to do this." I could also support the road design proposed by the internationally acclaimed civil engineer, Rick Chellman during mediation." "Alternatively, I support the use of Roundabouts at the busy FHR intersections because they are proven to calm the speed of traffic and to reduce accidents and injuries." Thank you in advance for your attention. Hetty Jardine, neighbor and frequent user of Forest Hill. Dear Sirs, please, please reconsider & scrap the current plans for Forest Hill Road. We have lived on this corner for better than 50 years and would like to remain here for a few more. It is so obvious that turn lanes and arrows at Forest Hill Road and Ridge Avenue would eleminate 99% of the problem,and could have been done 10 years ago when the subject of widening came up. With the economy in the condition it is in, and the city needing money, it makes no sense to go to the expense of four laneing Forest Hill Road. However, I remember reading in the local paper, a quote from the then chairman of the County Commission, Larry Justice, "We are going to do it, and nobody is going to stop us." So I guess the powers to be don't want to be confused with facts, when their minds have been made up from the beginning and they can get "Fee money" from the D.O.T. or the Federal government which doesn't cost anybody anything!!!! "I support the use of Roundabouts at the busy FHR intersections because they are proven to calm the speed of traffic and to reduce accidents and injuries. I do NOT support the cutting down of trees to make this road wider and faster to travel on. The road should remain a beautiful tree lined road with speed bumps installed to slow traffic down through this lovely residential neighborhood of Macon. Subject: Foorest hill widening project. Forest Hill Road is not as highly traveled as it used to be. It does not need to be wider, it needs to be safer. Though we oppose the FHR project as currently designed by Moreland/Altobelli/GDOT, we very much favor the resurfacing of FHR as soon as possible. We would like turning lanes at intersections and we would not be opposed to sidewalks and/or bicycle lanes. Subject: Forest Hill Road J.
I support minimal destruction of the natural environment on this road with only the necessary regard for safety. Resurfacing the road and providing one turn lane at some intersections along with Roundabouts at the busiest intersections to calm the speed of traffic should answer the need for both safety and beauty. >this road needs to be resurfaced, not wider. thank you if you can help. 1. Widen the road to a decent 2 lane width and install sidewalks. Create turning lanes at all major intersections. Problem solved with minimum use of right of ways and expense of extra pavement. Widen the roadway to three lanes with added sidewalks. RESULT: Destroy an R1 AAA neighborhood, reducing property values. Increase water runoff which in turn increases potential flooding. Create a useless 3rd lane for the majority of the road. Increase expense of acquiring right of way and paving costs. Add to the asphalt jungle. We do not agree with the current plan for Forest Hill Road. We want a safer less expensive road. We prefer the citizens' proposal over Moreland 's current plan. We do believe that the road needs to be resurfaced and made safer. Cutting of the trees would be a detriment for the beauty of the neighborhood. I support the road design proposed by Rick Chellman. Please do not 4 lane and cut so many trees. I writing to request that the upgrades to Forest Hill Road be limited to resurfacing and providing turn lanes at the intersections. It would be unconscionable to destroy the Forest Hill Road neighborhoods with the unnecessary road-widening project. My address is: 612 Forrest Hill Rd, Macon, GA 31210.
anything lee martin [see comment#68] says about this project is gospel truth ... listen to him this is a large majority of this day studying researching analyzing facts . his feelings are my feelings . Why not just pave the existing road and not, I repeat, not widen it? Speeders are going to speed and round abouts will slow speeders only to have them speed up again. I have lived many places with round abouts and they aren't necessarily safe, just new and nicer looking. They are a nuisance to me. I will leave Macon if you widen Forest Hill Road!~!! It is ridiculous to even think that FH needs to be widened. It is fine just the way it is. What is the purpose of building this race track where Forest Hill Road now exists??? The original purpose was to allow a better faster way to the Macon Mall, that purpose is no longer valid. Instead of the traffic count increasing it has decreased. SO IS THE REAL PURPOSE TO NOT LOOSE FEDERAL/STATE DOLLARS WHETHER THE PROJECT IS VALID OR NOT???????????????. If so our Politian's do not have their priorities straight, it is a waste of tax dollars. FIX IT, DO NOT REBUILD IT, left turn lanes at Wimbish and Ridge would solve the problem. The United States is going bankrupt and this project and others like it just feeds the flames that will take Georgia and Macon-Bibb county along with the US into financial ruin. Of course you could continue to raise taxes and take more of our money for you to spend, that however would probably cost you your jobs. MOORE/BIGGER IS NOT ALWAYS BETTER. Please reconsider the current proposed plan and listen to the citizen's input. FHR needs improvements immediately before I need another alignment on my van from driving on this atrocity of a road as it stands currently. When we can make Forest Hill Road safer for less money, why would GDOT insist on the same overbuilt plan that has been foisted upon this neighborhood and our community? You should be listening to those who live there and pay your salaries and not demanding paternalistically that GDOT knows best. Please do not destroy the beauty of Forest Hill by cutting down trees. Please use the road design of Rick Chellaman. We oppose the current Moreland-Altobelli/GDOT plan for Forest Hill Road. We need to decrease the speed and increase the safety. We definitely need TURNING lanes at the intersections. This is absolutely ridiculous to be spending this kind of money on something that is completely unnecessary. The trees make our road look like a residential area but obviously you all just to have another speed way. It is REALLY SAD that money means more than SAFETY and BEAUTY. Did the MATS committee lose their common sense? Traffic on FHR does not support a need for widening. Resurfacing, turn lanes/roundabouts is all that is needed. Roundabouts are successfully used in several cities I visit regularly in AL & FL on roads with heavier traffic than exists on FHR. While negotiations and settlements are going on, a resurface of Wimbish Rd. is a public safety MUST! The pot-holes and dangerously uneven pavement are damaging automobiles and creating safety hazards for drivers and motorcycle riders alike. This road shakes bulbs, wiring harnesses, electrical components, shocks, struts, tires, and also damages cargo in vehicles. Hopefully this pitiful excuse for a street will be re-surfaced before someone is injured or killed! A quick re-surface from Northside to Old Lundy would at least help protect motorists and vehicles until a solution is formulated for the entire project. Lane Whitworth-Rosa Taylor Dr. Macon, Ga. I travel Forest Hill twice a day and sometimes more, and at different times of the day, beginning at Overlook and all the way to Wesleyan Drive to reach my office on Bass Road. The only time traffic backs up is during the peak hours as it approaches the Vineville intersection. The real bottle neck is at FHR and Ridge Avenue. By correcting this, and adding turn lanes where needed, any problem should be eliminated. I do not believe a 4-lane road is needed, and I would not want to loose the trees and the general asthetic look of this beautiful road, nor am I in agreement with the tremendous cost involved, especially when it is not necessary. I applaud those who have been working so hard and diligently to stop the present plan from being implemented. I would like to add some comments to the draft TIP within the allowed comment period. The proposed design for Forest Hill Road (FHR) is a more unsafe design than the road is in its present configuration, except that because the city has refused to repave it, there are numerous and dangerous potholes and washouts along the roadway edge. Nationally recognized Urban Planners and Transportation Engineers have looked at the proposed design and determined that there are alternative designs which are safer, more context sensitive, and much less costly to our community’s taxpayers and we should take advantage of their expertise and save one of our city’s remaining vibrant and beautiful residential neighborhoods by incorporating their suggestions into a safer, more efficient, less expensive, and more aesthetically pleasing design. The residents of the neighborhood raised over $12,000.00 to hire Mr. Chester “Rick” Chellman, of TND Engineering, ( http://www.tndengineering.com/) a licensed traffic engineer and urban planner to represent them in mediation. He is licensed to practice in Georgia. His determination was that the people representing the county were not ever willing to fairly negotiate a solution during the one day of mediation. He assured the residents that a safer, more context sensitive, and less expensive design could easily be incorporated into the engineering work that’s already been done on the project. Other renowned engineers and urban planners have studied the Road Program’s plans for FHR and came to the same conclusion. Among them are: Walter Kulash, a senior traffic engineer for Gladding, Jackson, et. al., Dhiru Thadani of Ayers, Saint, Gross, Architects and Urban Planners in Washington, D.C., and Michael Wallwork, of Alternate Street Design, P.A. of Jacksonville, FL, and one of the world’s leading designers of roundabouts. All of them are licensed to practice in Georgia. Traffic counts on FHR have decreased overall since 1998. The original Needs and Purpose Statement is no longer valid (and might be a violation of federal highway law) which advocated the need for increased capacity and a more direct route to the old Macon Mall, but this is no longer viable due to a change in demographics. In fact, adding the proposed third-lane (commonly known as a “suicide” lane) to the northern section from Wimbish Road to Northside will not even add capacity. What it will do is make the road more unsafe because of its 48.7 road design speed (35 mph posted!) all the way through a residential area and right past the intersection to McKibben Lane Elementary School. If a pedestrian is struck by a car at 30 mph, there is an 80% chance they will survive! If a pedestrian is struck by a car at 40 miles per hour, there is a 75% chance they will die. A subtle 10 mph difference, but that is what is proposed for FHR…Mr. Harvey Keepler, the then GDOT Environmental/Location engineer, admitted that the EA had contained an error about the road’s safety. The EA stated that the road was 10% more unsafe than similar roads in Georgia, but after researching the data, we discovered that the road was actually 20% safer than comparable roads in Georgia- a 30% error in their document. In these times of economic hardship, this proposed project is such an egregious waste of taxpayer money for our community and the taxpayers of Georgia, including the rapidly depleting treasury at the Georgia Department of Transportation, that it just makes no $en$e to me. The last stakeholder meeting for this project was on April 14th, 2005 and it was restricted to comments from appointed stakeholder members and interested citizens were not allowed to speak. The moderator would not allow comments about design of the road to be discussed even when a stakeholder asked if anyone had a copy of the current design available at the meeting. Van Etheridge of Moreland-Altobelli, said there was not one available, but after the meeting, Joe Wood, also with Moreland-Altobelli came up to the stakeholder and sheepishly said he had one available, but was afraid to offer it for obvious reasons. The two or three FHR meetings before that were also restricted to only stakeholders. The last and only public meeting for this project was the first one at Springdale School in 2001! Citizens in Macon/Bibb are tired of “design and defend”. We want modern, up to date, safe, efficient, and context sensitive road design for our community. The FHR project can be a win-win for all our elected officials, GDOT, and FHWA if they will only restore the public trust by scaling back and re-designing FHR. Instead of promoting transit and context sensitive designs, we have traditionally and historically prioritized building highways, but with what result? We have had a declining population since 1975 so what has all this road building accomplished for us as a community? Not much! Relieving traffic congestion? I don't think so- but- it has made our roads more unsafe for pedestrians and bicyclists because of their unsafe designs which promote speed. A good segue to begin my comments on this subject is an article by John Norquist , former mayor of Milwaukee for 16 years, who resigned to become the CEO of the Congress for New Urbanism. His article can be found here: http://www.preservenet.com/freeways/FreewaysTear.html Macon-Bibb has three interstates and two national highways, U.S. 80 and U.S. 41, but we have been losing population since 1975! Spending another $500,000,000.00 dollars to expand the I-16/I-75 corridor makes no $en$e. It is obvious to me that the old paradigm of “build it and they will come” no longer applies to our metro area. Commissioner Lonzy Edwards’ district is east of I-16/I-75 and it has lost the most population among the four county districts and it is the community most cut off from downtown and the rest of the city by these unnatural concrete barriers. Our city experienced dynamic and costly flooding in 1994 because of the added constriction to the river channel when I-16 was built. Nothing is in the plans, nor has anything been done to the levee system, to mitigate future flooding. Joe Palladi, the former head of Urban Planning and Design at GDOT, said in a public meeting at city hall, “This project has everything that a project can possibly have wrong with it,” but yet, it has been determined by GDOT and FHWA that this project should have an Environmental Assessment rather than the much more encompassing and appropriate Environmental Impact Statement. There are many nationally recognized and awarded transportation engineering firms that have the expertise to re-engineer this project in a way that will protect our endangered downtown, protect the wetlands of the Ocmulgee River, and protect our East Macon communities from the deleterious effects that widening this intersection to 14 lanes will cause. We need to change the paradigm, which for Macon, hasn't worked at all. Please refer to the 2010 U.S. Census. Thank you for the opportunity to make my comments part of the official record. Project is way too big. "I don't want an interstate runnin" thru my front yard". It is not too late to correct a horrible wrong. Decade old data based on traffic going to a thriving Macon Mall... they are going to tear down the new portion of the Mall. Someone please use some common sense! Wimbish/Forest Hill Rd. need some engineering updates. North of that we need resurfacing... a bike lane/sidewalk would be nice without going crazy on the right of way. We want a safer, less expensive road. I prefer the citizen's proposal over Moreland's current plan. I vigorously object to the Moreland-Altobelli/ GDOT plan regarding Forest Hill Road. For 17 years I lived on Newport Road and accessed Forest Hill Road daily back and forth to my home. travels this road very frequently. I fully agree with all the statements set forth below. 1. Forest Hill Road is not as highly traveled as it used to be. It does not need to be wider, it needs to be safer..
2. We need to decrease the speed and increase the safety..
3. We want a safer, less expensive road. I prefer the citizen's proposal over Moreland's current plan. 4. I oppose the current Moreland-Altobelli/GDOT plan for FHR. Several recognized urban planners have assessed this road and agree that the plan is neither optimal or neighborhood friendly. This plan not only decreases safety by increasing speed, but will ultimately ruin a solid middle-class, tax-paying Macon base. 5. The current Moreland-Altobelli/GDOT plan not only encourages speeding but it doesn't even address the problems that occur at the intersections of Ridge Ave.and FHR or at Wimbist Road and FHR...no turning lanes....no nothing! 6.Though we oppose the FHR project as currently designed by Moreland/Altobelli/GDOT,we very much favor the resurfacing of FHR as soon as possible. We would like turning lanes at intersections and we would not be opposed to sidewalks and/or bicycle lanes. 7.We support the road design proposed by the internationally acclaimed civil engineer, Rick Chellman, during mediation. 8.Don't cut down the many thousands of trees marked by Moreland-Altobelli during the FHR tree study; Don't bulldoze the Forest and the Hill out of Forest Hill Road. 9.We support the use of Roundaouts at the busy intersections because they are proven to calm the speed and to reduce accidents and injuries. 10, With an increase in traffic on FHR, what in the world is going to happen to all those vehicles that will be dumped onto Vineville Avenue/Forsyth Road? i fully agree with all of the above statements. I prefer the citizen's proposal over Moreland's current plan. We need to decrease speed and increase safty! 9.We support the use of Roundaouts at the busy intersections because they are proven to calm the speed and to reduce accudents and i njuries. 10, With an increase in traffic on FHR, what in the world is going to happen to all those vehicles that will be dumped on to Vineville Avenue/Forsyth Road? I might add that the cost of this project is in the neighborhood of $20,000,000.00. No estimate has been made for the cost of our Mediation Plan, but it should be many millions less since it is not as wide, does not flatten the hill and does not require removal of the existing road bed. sters, we also have to lose the beauty> HOW CAN THIS BE??????? 1. The condition of Forest Hill RD is totally unacceptable. Resurfacing and painting must be scheduled ASAP. safer, more cost effective and attractive than widening Forest Hill RD. under the current plan being considered. plan. We live here and would like to continue to do so, safely, for many generations. We are depending on you. The choice is yours, civil servants, please hear us and act accordingly. We are not satisfied with the current design for Forest Hill Road. It is foolish to go forward with a plan which is less safe than a known alternative plan. A safer plan has been developed by civil engineer Chester Chellman of TND Engineering. We strongly recommend the Chellman plan for FHR. We would like to see the use of roundabouts at the busy intersections because they are proven to calm the speed and be more safe. Why can't Forest Hill Road have this feature, which MAKES SENSE? It is not complicated. A driver must slow down to negotiate the roundabout, yet it saves time and fuel for the driver. During the years of contemplating this road work, many ideas have come forward from citizens who (care to) see the issues that are involved. People who live in the neighborhoods along Forest Hill Road and those who travel it frequently value the unique charm of the wooded, scenic drive. Please do not destroy this element by oversizing the road. Again, we strongly recommend the Chellman plan for Forest Hill Road. We have lived off Forest Hill Road on Ousley Place for twenty plus years and are happy just the way the current road is except for possible turning lanes. We certainly do not want to see widening that will open our neighborhood to more fast traffic, unwanted vehicles that will be used as a "quick cut through" our home and neighborhood. We chose our home because of the nice quiet wooded area and hope that it can stay that way with the trees we have left. Recently some homes have been rented that are not being kept to the standards we have always enjoyed. We feel the additional widening will do much to damage our enjoyment of our homes and neighborhood, cause much noise and a "race track" through. Please reconsider this proposal before much damage is done. I think something should be done about the big trees on FHR. You say they are old, yes they are and if another hard wind comes along, we will be wishing they had been cut down sooner. I had a dear friend killed on Forsyth Rd. because Weslyan College did not cut down a dead tree. Some of the trees at the end of Old Lundy coming into Forest Hill are an eyesore and they are so close to the road. Go a little further down Forest Hill Rd.right to the corner of Newport and that is where we need a right turn lane. We also need Newport Road to connect straight across to Forest Lake South. That is where the traffic jam starts everyday. You can't get out of Forest Lake to turn right or left . We could use a light at that intersection. Nobody knows what it is like to drive Forest Hills unless you drive it everyday at school time, morning and afternoon. Also, Please resurface the road as soon as possible. opposed to sidewalks and/or bicycle lanes. It makes me wonder why a road such as FHR would so much in favor of widening than Wesleyan that goes directly to the new mall and has a lot more area for new growth whether it be new home or business. FHR is finished with new growth and being that I live here I do not seem to have the problem that make this a project for worthy of widening more that just resurfacing. Over the past few years, Macon has lost many trees due to the storms that we have had. I often travel down Forest Hill Road and admire the trees and vegetation there, and have yet to see that many cars traveling on it. If there is that much money available for buidling new roads, why not use these funds to mow our existing roadways. It is very embarassing to see all the litter and weeds along Macon and Bibb county roads annd highways. This money could be better served by improving this problem. I have lived on Hill Place off Forest Hill Road for almost 39 years. I live here because I love it. Yes, the road needs resurfacing badly. Please, don't cut down the many thousands of trees marked by Moreland-Altobelli during the 'FHR tree study'. I think the use of Roundabouts at the busy FHR intersections would be most sensible and most economically feasible. Roundabouts are proven to slow traffic and to reduce accidents and injuries. And, WE NEED TO KEEP MOST OF OUR TREES! My mother fought this widening project for years. Forest Hill Rd. was her only way out anywhere for the 40 years she lived in this house and she in no way wanted it widened. She died last year at 80. Now I live in her house here off Forest Hill. I drive her car. Shortly after receiving her car , I had to put it in the shop...then, had it in the shop again. Things were vibrating so much from going up and down "Pothole Road" for the 10 years she drove her Volvo that it was causing lights to malfunction and electrical shorts and loose suspension. The service guy remembered when the seat heater caught on fire while she was driving it....the wire had vibrated loose. Just pave the road like it is before we destroy our vehicles and possibly ourselves. thank you for all the hard work you have put in to the Forest Hill project but please do what the people want you to do. "consultants" - Moreland Altobelli, et al. "Power corrupts, Absolute Power corrupts Absolutely!" RE: this resurrected Forest Hill issue, make your opinions and your protests well-known! If we don't speak up now, we are nothing but cash cows! The forest hill road project is a absolute waste of of our tax dollars at a time we can least afford more waste. All we need for forest hill is a complete re-surfacing and turn lanes with turn signals at intersections of wimbish and ridge . Our representatives need to think more about tax payers and less about their personal gains . I have lived on Hill Place off FHR since 1965.There is no problem entering or exiting FHR except maybe 30-45 minutes in morning & late afternoon and is not unrealistic then.Why spend tens of millions of dollars of our state money for a small inconvenience for a short period each day. Have a little patience.At the most,there is a need for some left turn lanes and by all means fill the POT holes first so they will stay filled and pave all of Forest HOLE Rd.. so it can again become Forest HILL Rd. The allocated money that is in reserve to widen FHR will only be enough to do only a portion of FHR with 3 lanes suddenly coming to a halt and the 3 lanes having to bottle neck where it merges into the old 2 lanes of POT holes -makes no sense. With the short fall of money in our State of Georgia and GDOT,the most congested section of FHR probably will never be widened ,or have turn lanes ,or even be paved.Why not use what money is available to make left turn lanes where needed for all of FHR and pave it? Your consideration of this would be much appreciated by all. We can't keep our vehicles in alignment and is causing even new ones to rattle. Please,please do not destroy the beauty and safety of FHR. Thanks for listening. Thank you for all your work considering solutions for Forest Hill Road. I agree with the many voices who speak in favor of safety improvements such as roundabouts or short turn lanes rather than the costly approach of widening the whole road to three lanes. I've read most of the comments posted about this road work and a lot of people have a lot of great ideas and suggestions. But, one couple suggested to just resurface the road and move on and I completely agree with that. I've lived in North Macon for 27 years and grew up in Lokchapee. We actually just moved from there to the Riverside Dr. area but use Forest hill Rd everday and I've never had a problem with the road with the exception of the potholes. I don't think there should be any red lights, roundabouts, bike lanes, etc. I think it would make everyone happy to just have it repaved. It would save a lot of time and money to forget about all the cool stuff we COULD do and just do what needs to be done and repave it. Adding a middle lane would be great but I think it would cause higher traffic speeds. Widening the road takes away yard frontage which puts kids closer to traffic and the area with the most potholes is too close to the church, the school, and residents with kids. I say repave and move on. I feel that the road does not need widening, but needs to be safer. My house is already close to the street (45 feet to edge of road from my front door). I have a tree in my yard that has already been hit twice. By moving the road closer, I fear that a speeding car may actually hit my living room. This is a big safety issue for my wife and me. Furthermore, the sidewalk will bring pedestrians within 13 feet of my front door. I oppose the current Moreland-Altobelli/GDOT plan for FHR. Several recognized urban planners have assessed this road and agree that the plan is neither optimal or neighborhood friendly. This plan not only decreases safety by increasing speed, but will ultimately ruin a solid middle-class, tax-paying Macon base. I believe that the Citizens' Proposal for Forest Hill Road is the one to adopt for several reasons. Forest Hill Road (FHR) is not as highly traveled as it used to be. It does not need to be wider; it needs to be safer.The speed needs to be decreased to make it safer. Roundabouts at busy intersecions reduce speed, accidents, and injuries. Several urban planners have assessed this road and agree that the Moreland-Altobelli/GDOT plan is neither optimal nor neighborhood friendly. This plan decreases safety by increasing speed and will ultimately ruin a solid middle-class, tax-paying Macon base. The current Moreland plan not only encourages speeding, but it doesn't even address the problems that occur at the intesections of Ridge Ave. and FHR or at Wimbish Rd. and FHR. No turning lanes or anything. The resurfacing of FHR, the addition of turning lanes at the intersections, adding sidewalks and/or bicycle lanes would be a great and needed improvement. The road design proposed by the internationally acclaimed civil engineer, Rick Chellman, during mediation has the full support of the citizens. The cost should be much less than the proposed $20,000,000.00, because the Citizens' Proposal is not as wide, does not flatten the hill, and does not require removal of the existing road bed. As a former City Councilman and Bibb Commissioner, I have been intimately involved in the Forest Hill Road project since its inception. The entire scope of the project has changed due to numerous factors over the past 15 years. An east-west corridor to the Mall is no more in need. Half of the original project has been scrapped due to the reduction in mall business and traffic need. Projected traffic counts made in 1995 for 2010 have never materialized...in fact, have decreased from the 1995 counts. The most egregious part of the project is the 4 lane with median section (from Vineville to Wimbish). We all know that this is too much road for the area and is unwarranted. The primary reason for this extensive design is to gain federal dollars to pay for the entire project. Most all of our elected officials believe we need to “repave the road; put in a few turn lanes; and fix a few intersections”. As residents of the area, we know it best because we travel FHR daily. As residents of the area, we seek to partner with our local, state and federal governments to improve the quality of life for all. We seek to redesign FHR to enhance the safety and efficiency of the project, while preserving the community spirit of the neighborhood. The current design does neither. Thank you for your consideration. Please resurface FHR and include acceleration and deceleration lanes for the side streets that come off of FHR. This would solve the pothole issue and allow for reasonable traffic flow at a decent speed. This would also be a cost savings. Do not spoil the few remaining Classic Macon areas that give our town character. Resurface Forest Hill area and move on! I was in Germany on business a couple of weeks ago and did plenty of driving in the rental car. The Germans are building roundabouts to replace standard intersections. Those in the roundabout have the right of way, and those on the incoming roads must yield. Most German local and secondary roads are no wider than Forest Hill and most have a bike path/sidewalk on one side. The current expansion project for Forest Hill is unnecessary and unwanted by the neighborhood. Please resurface the road and provide turn lanes at intersections. Please please please do not tear up this fine neighborhood. Stop the Forest Hill project. It will drive a 4 bulldozer-wide gouge through an urban forest and replace it with hot, wide, blacktop that will be empty most of the time. Replacing the most beautiful and valuable neighborhood in Macon with a truck route is bad for all of Macon. Ask yourself a question. What do Macon's road projects look like 5 years later? Let's look at Zebulon Road as an example. Houses along Zebulon don't sell since it was widened to 4 lanes. And would those hideous concrete power polls have been allowed along Zebulon if it already hadn't been crapped up by the road? Those power lines only make sense because Zebulon Road is no longer considered to be a place where people live, but a transportation corridor. Where there used to be stars at night, there is now and orange glow in the sky from the lights at the Zebulon/I-75 intersection. Do you think this has increased or decreased the value of a home in Lake Wildwood? Look at Riverside Drive and I-75. When people come to Macon do you drive them over to Riverside Drive and point with pride at beautiful river valley that DeSoto himself passed through? Heck no. It looks like crap. And it looks like crap because that is the only kind of road the county of Bibb and the city of Macon can conceive and build: 5 lanes wide, a traffic light at every cross street, extra lanes in all 4 directions if an intersection is slightly busy. Less and less land for anything but cars and trucks. Everywhere we put blacktop we exclude from our city. Blacktop isn't city, it's land that's dead forever and valueless for anything but driving over. Stop the Forest Hill Road project. Though we oppose the FHR project as currently designed by Moreland/Altobelli/GDOT,we very much favor the resurfacing of FHR as soon as possible. We would like turning lanes at intersections and we would not be opposed to sidewalks and/or bicycle lanes. Thank you for accepting comments from citizens about Forest Hills Road. I am a resident of Macon, Ga.; my home is very close to Forest Hills Rd. However, I was born and raised in the San Fernando Valley of California. Our house was in the hills overlooking the whole valley. When I was little, it was absolutely beautiful. Then the roads got bigger, the freeway (Hwy. 101) went through the valley, the mountains on the other side of the valley disappeared on most days due to air pollution, and the newspapers had article after article about pollution, illness, etc. Now it is famous for its terrible traffic and equally terrible air. I have been in Macon for over years. Forest Hills has always been a wonderful road, canopied by mature trees, the antithesis of what L.A. has become. Forest Hills is not as important to the development of the city as it used to be. Traffic has gone in other directions rather than increasing substantially on this road. It would be tragic to ruin one of the few roads that makes Macon so beautiful. This is a residential area, and widening this road would make it hotter and would destroy its beauty. Clearly, this would be a detriment to all living in this area. I am asking you to consider preserving the canopy of mature trees that now exists. There was a mediation plan that provided the necessary improvements without destroying this whole area. I therefore appeal to you to help preserve this uniquely beautiful section of Macon. I am asking also that you consider the will of the people you were elected to represent. Many of you have been to meetings with us and have listened, even commenting at the excellence of the research that has been done and at the reasonable nature of our requests. It seems at this point that to go forward with the Moreland-Altobelli plan is a huge waste of money at a time when money is tight. It is big business lining the already deep pockets of people who don't live here and don't care about us. We do not need an out of town company greedily grabbing our money and deciding on the nature of our neighborhoods. It feels like an astounding disregard for the voices of the residents. Once more, thank you for your willingness to hear citizen comments. I understand a decision may be made soon regarding Forest Hill Road and I have been reading about some of the pros and cons of the issue. For what its worth, I would like to submit my preferences for your consideration along with the many more you will surely have received by now. I would like to see the existing road resurfaced on the existing roadbed with the addition of appropriate turn lanes at intersections where safety may be improved. The addition of sidewalks and bicycle lanes would be fine if their construction does not require the removal of a significant number of trees. I would be opposed to a plan which changes the contour of the right of way or requires the destruction of a significant number of trees as the Moreland plan seems to do. the area. Many are opposed to widening and their arguments seem sound. Those of us in the Forest Hill neighborhood need a safe road. Resurfacing/repairing the road is a necessity. The addition of some turn lanes or roundabouts would alleviate the traffic at a couple of peak times in the day and would not destroy our beautiful, tree-lined road that rivals those in beautiful neighborhoods in places such as Atlanta (some of the older roads in Atlanta, e.g. Paces Ferry Road, could be used as models for our road improvement). Special attention should be given to maintaining a maximum tree canopy (it helps to keep the heat down in our hot summers and has other advantages), and additional attention should be paid to the impact of any changes on the drainage in this area of town. Please reconsider proposed changes to the costly design currently under consideration and do what the people want. This is one place where we can save our state some money! I realized after I sent my first email with a comment that I had not included my phone number, so am sending this again with some added thoughts. When I first moved to Macon more than 30 years ago, I lived in the vicinity of Forest Hill Road. I thought - and still do - that the winding, tree-lined thoroughfare was one of the most scenic in Macon. Yes, Forest Hill Road needs some improvements such as repaving and turn lanes at intersections, but certainly not the widening and accompanying destruction of hundreds of trees that is planned. Road improvements should enhance a neighborhood, not destroy it. The amount of traffic on Forest Hill Road does not justify this project, it is a waste of taxpayers' money and it could cause another lovely area of Macon to decline. I grew up on FHR and do not believe it needs to be widened. The thought of cutting down hundreds of trees to make this area an eye sore also the first thing is it will not be as safe. Speed limits will increase, and so will the no. of vehicles using this HWY.I would ask all too please adopt the citizens plan and keep FHR a SAFE and pretty place to live and raise families. In February of 2008, I sponsered a resolution which was passed by Macon City Council calling for a formal review and approval by the City of all road designs, new or pending, at preliminary and final stages, to include Forest Hill Road, within the city limits of the City of Macon. The purpose of the resolution was to express concern regarding design flaws in the current plan for Forest Hill Road. I continue to believe that the current design is flawed and based on eroneous traffic data. Further, the plan will significantly alter the residentail neighborhoods in the Forest Hill Road area. I request that the Macon-Bibb Road Improvement Program and the Georgia Department of Transportation review the current plans and make appropriate changes based on the concerns addressed by the community. We oppose the Moreland-Altobelli/GDOT plan for Forest Hill Road. We feel it will decrease safety by increasing speed on the road. We also think it will ruin a solid, middle-class, tax-paying neighborhood. We need to resurface Forest Hill Road and make turn lanes at the intersections. We favor Rick Chellman's plan for the Road. Why would we spend $20m to create chaos in a well-established neighborhood when the problems can be rectified for far less money and the neighborhood will not be destroyed? We oppose the current Moreland-Altobelli/GDOT plan for Forest Hill Road. Several recognized urban planners have assessed this road and agree that the plan is neither optimal or neighborhood friendly. This plan not only decreases safety by increasing speed, but will ultimately ruin a solid middle-class, tax-paying Macon base. Though we oppose the FHR project as currently designed by Moreland-Altobelli/GDOT, we very much favor the resurfacing of FHR as soon as possible. We would like turning lanes at intersections and are not opposed to sidewalks and/or bicycle lanes. Thank you for your attention to this email! Adding lanes will cause the loss of many trees whose loss will exacerbate the waxing HEAT ISLAND EFFECT here in Macon/Bibb County. Also, with the loss of trees and general environmental and aesthetic degradation which typically follows in the wake of road construction/road widening projects, the adjacent neighborhoods will decline and the exodus of people from Macon will continue, even accelerate. Eventually property values in the Forest Hill Rd. area will depreciate and the city and county will have to raise the millage rate even more to make up for the lost tax revenue. It's a stupid plan but we have fools/very shortsighted elected officials who are pushing it so TOO BAD FOR MACON AND BIBB COUNTY. I oppose the current Moreland-Altobelli/GDOT plan for Forest Hill Road. Several recognized urban planners have assessed this road and agree that the plan is neither optimal or neighborhood friendly. This plan not only decreases safety by increasing speed and will ultimately ruin a solid, middle-class, tax-paying Macon base, it doesn't even address the problems that occur at the intersections of Ridge Avenue and Forest Hill Road or of Wimbish Road and Forest Hill where there are no turning lanes or anything that assists with safe traffic flow. I do support the use of Roundabouts at these busy intersections since they are proven to calm the speed and reduce accidents and injuries. Even though I don't live in this area, I travel it frequently since I have family and friends who live on Forest Hill. have on a project we do not need or want? Members of MATS, please accept my comments on the current TIP. The widening of Forest Hill Road has no purpose, no need and should not proceed as planned. The original official purpose and need in the EA is no longer relevant as it was written years ago, and Macon is not the same place. Assumptions in the original purpose and need and incorrect, and not supported by the years of data that we have since the original proposal. Traffic projections are wildly inaccurate, and other professional engineers substantiate this claim. Stop buying ROW immediately. Traffic counts have fallen or remained flat on the entire road. Accidents are lower than comparable roads. This is a road to nowhere. The connecting segments of the Northwest Parkway are in long range, and will not be built. The proposed widened short section provides no connectivity and is not supported by traffic data now or in the future. The current plan will create significant drainage problems. When it was pointed out that the current plan showed an unacceptable increase in runoff within the project area, an engineering sleight-of-hand changing the project area to the entire drainage basin, made it appear that there would be no increase in run-off. There are existing flooding problems at the northern end of the project, and if built as designed, it will only serve to exacerbate this condition and open the city to liability. We need to fix the intersections and repave the road. This can be done within existing ROW (except at the intersection with Vineville), and will cost only a fraction of the proposed project. Wasted tax money hurts all of us, and the excuse that we will lose the money unless we build a bad project is not acceptable. The money will stay in the congressional district, and because Macon is the largest entity in the district it will likely receive the money back to do more useful work. Don’t let politics trump common sense, good planning and fiscal responsibility. This is another massive boondoggle that begs for a redesign. The project is far too large, too expensive, and not needed. The excuse that the section will carry more traffic because of a deepening of the port in Savannah is not valid. The data from the port shows that while larger ships will be able to dock, the removal of the freight from these ships will proceed at the same rate as is does now. This means that there may be more steady traffic on the road, but it will not show any kind of significant increase. The excessive number of lanes (14-lane footprint through town) will damage waterways, historic places, archeological sites, and the natural areas along the Ocmulgee. With all of these threats, no formal EIS has been completed to fully assess the impacts to our town. A redesign is absolutely necessary, and the EIS should begin immediately. I live on Laura Ann Place which is a dead end off Forest Hill Road. I have lived here since December 1965 and plan to remain at this address. I hope that the plans that now seem to be ready to fulfill - that is major changes in Forest Hill Road will not go through as now suggested by the GDOT. There is a lot of traffic now on Forest Hill Rd. but to widen that street from end to end seems to not be necessary. Perhaps some other changes could be made to make Forest Hill Road safer - slower speed limit - turn off lanes for some of the streets adjacent to Forest Hill Rd, I hope you will consider these suggestions. I am writing this email as a concerned citizen of Bibb County and also at the behest of a good friend of mine who lives on Forest Hill Road and will be greatly affected by the Forest Hill Road project. It is my understanding that, as of this writing, the construction (at least the initial stage) will take place from approximately Wimbish Road to Northside Drive. I assume that the construction will then continue to Vineville Avenue. I am unsure of the final configuration, and I apologize for not reviewing the latest drawings, but I understand that it will include a significant widening of Forest Hill Road and the addition of sidewalks and possibly bike lanes. While not being a part of the planning process, I do travel Forest Hills Road frequently. The deterioration of the pavement has been increasingly noticeable and I would venture to say that the road is more dangerous now due to it not being resurfaced. The other thing that I have noticed is that the road appears to be much less traveled since the Riverside Crossing Mall has been constructed and since the “big boxes” at the Macon Mall have closed. I don’t recall seeing any traffic counters on the road over the last few years. Since this project has taken so long to develop, I have to ask if there have been detailed traffic counts performed in the past several years and if this has been taken into consideration. If not, I would urge it be done. I know that you cannot indiscriminately move around DOT monies, but it would seem to me that a much better use of money would be the widening of Bass Road. Unlike Forest Hill Road, Bass Road seems to be taking on a much heavier traffic burden since Riverside Crossing, Bass Road, and the Publix have been constructed, and there is much more construction on the way (someday, I hope!). To summarize my concern, I do not wish to take a stance on design or functionality of the project, but do wish to voice my concern that, after 17 years (I understand) in the planning and studying this, the logistics in the north Macon area may have changed and the project may not take into consideration current conditions. I hope that this is taken into consideration prior to the finalization of design. The Forest Hill Road area is one of the most beautiful streets in Macon and I hate to see it significantly changed without updated consideration. Thanks for allowing me to voice my opinions on this matter. I’m not in the planning process either, but traffic continues to be a problem on Forest Hill. Traffic counts have been performed several times since the Shoppes at River Crossing has been developed. I use Forest Hill frequently traveling from my office on Riverside to the Vineville Avenue/Forsyth Road area. The traffic counts and trends can be obtained from Van Etheridge at Moreland Altobelli’s office in Macon. According to their information traffic has definitely not decreased. The proposed three lanes from Wimbish to Northside is due to the large number of driveways and street intersections which provides for turning lanes. If they had tried to put turning lanes at every intersection, it would have been a problem. The “Y” intersection at Wimbish is another problem. Contact Ken Sheets or Van Etheridge and they can show you the plans and provide additional information. Thanks for the information. I trust from your email that the counts have been made. I do appreciate your getting back to me. I know that engineering design does not always look practical. While on the subject, any plans for Bass Road? I know you travel that area more than me and have noticed the increase. Yes the traffic is increasing on Bass. The major problem is from Mabel White to I-75 and on to New Forsyth Road. At peak times we do get back ups at Rivoil and Forsyth road. Currently there are not any immediate plans, but it is in the T-SPLOST next year. RICHARD HICKS 509 S. FIELDSTONE DR. MACON, GA. 31210 478-477-5075. I AM WRITING THIS AS A FORMER RESIDENT OF FHR, 21 YEARS AT 537 FHR..-- MY HOME FROM BIRTH THROUGH COLLEGE. I AM VERY FAMILIAR WITH THE NEIGHBORHOOD AND ISSUES WHICH I HAVE FOLLOWED AS A SILENT BUT INTERESTED PARTY FROM THE SIDELINES. IN MY OPINION, THE MORELAND PROPOSAL HAS MANY VARIED FLAWS IN THE DESIGN AND SHOULD NOT BE IMPLEMENTED. MY CONCERNS ARE COSTS [20 MILLION]; LACK OF ATTENTION TO THE CRITICAL INTERSECTIONS [ WIMBISH/RIDGE/VINEVILLE]; :DESTRUCTION OF PROPERTY TO WIDEN AND FLATTEN TERRAIN; SAFETY--TRAFFIC COUNT AND SPEED WILL INCREASE THROUGH A RESIDENTIAL NEIGHBORHOOD. MOST IF NOT ALL OF THESE CONCERNS ARE ADDRESSED BY THE CITIZENS PROPOSAL WHICH I SUPPORT . For years, we have been "begging" for the resurfacing of FHR. However, the city/county officials do not want to spend any $$$$$$ on such repairs.....since the local politicians appear to have as their main goal to make FHR into a multi-lane thoroughfare right through the middle of a very old and lovely neighborhood. $$$$$$, and I suspect "pride", appear to be their total driving forces in making a decision. How many times do I have to state that the majority of "complaints" that I hear about FHR are related to the potholes? It is way past time to fix the potholes, to resurface the entire road from Vineville to Northside Drive.......and to make adjustments to the intersections at Ridge Ave, Wimbish Rd, and Lokchapee. In my opinion, Round-abouts that I have experienced in this country AND abroad, would be the best, the most efficient, the safest, and the least expensive way to resolve the problems. Would it not be worth the use of less $$$$ for a reduced size project, and then "find a way" to shift the left-over funds to other local projects? Wider roads relate to higher driving speeds and the resulting host of problems that would then exist. As it is, the City/County can not manage the upkeep on the existing 2-lane FHR. What makes us think they could or would do any better with a wider road? Regular maintenance increases the long-term expenses of maintaining another wide road in Macon/Bibb County. Personally, I feel that our neighborhood is being "punished" by the local decision-makers, who have refused for at least the last 12 (plus) years to just resurface FHR. It also appears that the local government entities need to get a "second opinion" on this project and on any future projects. Consistently using ONLY the engineering firm of Moreland-Altobelli for contracts in Macon and Bibb County seems to fall into the category of a "MONOPOLY"! This brings up many questions in my mind about our local government leadership and suspicious sounding business practices with the one and only Moreland-Altobelli......and using OUR tax $$$$$$ to do them! I am deeply and strongly opposed to the forest hill road plan.. Many tres will be lost as well as beautiful homes and lawns. I am requesting you to reconsider..
the need to revisit the fundamental assumptions about how FHR should be configured." I am against the widening of Forest Hill Road. I live at 3860 Overlook Avenue - 4 houses down from Forest Hill Road. I have lived here for 16 years and I have never had a problem with traffic on Forest Hill Road. Let's invest this money in a more worthy cause for Macon. My name is Wayne Daniel and I reside at 5277 Zebulon Road and have been at this address for over 20 years. Zebulon Road used to be a 2 lane road and when the consultants finished it was turned into a high speed freeway. We attended all the meetings and expressed our concerns about making it a 5 lane highway without curves or anything that would impede speeding. Our comments were in vain as you see what we have today. While I do not live on Forest Hill Road I do know the fears of several residents and I would request you listen to their concerns. I am sure you have the demographics to support what you are doing but statistics very seldom demonstrate common sense. We need to decrease the speed and increase the safety. The current Moreland-Altobelli/GDOT plan not only encourages speeding but it doesn't even address the problems that occur at the intersections of Ridge Ave. and FHR or at Wimbish Road and FHR....no turning lanes...no nothing! Though we oppose the FHR project as currently designed by Moreland-Altobelli/GDOT.we very much favor the resurfacing of FHR as soon as possible. We would like turning lanes at intersections and are n ot oposed to sidewaalks and/or bicycle lanes. We support the road design proposed by the internationally acclaimed civil engineer, Rick Chellman, during mediation. Don't cut down the many hundreds of trees marked by Moreland-Altobelli during the FHR tree study. Don't bulldoze the Forest and the Hill out of Forest Hill Road. We support the use of Roundabouts at the busy intersections because they are proven to calm the speed and to reduce accidents and injuries. With an increase in traffic on FHR, what in the world is going to happen to all those vehicles that will be dumped on to Vineville Ave./Forsyth Rd.?. I am opposed to the Moreland -Altobelli/Gdot plan for Forest Hill Road. Forest Hill Road needs to be resurfaced and have its potholes fixed. It does not need a multilane thoroughfare right in the middle of a very old and lovely residential section. I might add that the cost of this project is in the neighborhood of $20,000,000.00. No estimate has been made for the cost of our Mediation Plan, but it should be many millions less since it is not as wide, does not flatten the hill and does not require removal of the existing road. I am in firm opposition to the current Moreland-Altobelli/GDOT plan for the Forest Hill Road area. Several recognized urban planners have assessed this road and agree that the plan is neither optimal or neighborhood friendly. This plan will not only decrease safety by increasing speed, the plan will ultimately ruin a solid middle-class, tax-paying Macon base. Although I oppose the Forest Hill Rd. project as currently designed by Moreland-Altobelli/GDOT, I am very much in agreement with resurfacing Forest Hill Rd. as soon as possible. Turning lanes are also much needed at the intersections of Forest Hill and Wimbish Rd. and also at Forest Hill and Ridge Ave. I have observed walkers and bicycle riders at times and it would be nice to have sidewalks and/or bike trails for their safety. Forest Hill Road has been in bad need of repair for several years. To repair pot holes that continue to get larger and deeper and to resurface the entire length of the street would help to correct some of problems that currently exist. In my opinion, Forest Hill Rd. does not need a multi-lane thoroughfare on a street that is not traveled extensively and is of a very short distance. To continue this concept of adding more lanes, there will be the need to take large amounts of yard space and natural older trees from existing residents, severely damaging the land their homes sit on at the present time, diminishing their home values. The Forest Hill Neighborhood is a very old area with older homes and trees that have been in place for many years. Forest Hill Rd. is not traveled as it once was, and does not need to be wider, it needs to be safer. Also, widening will ultimately raise the speed limit, which is not needed for such a short distance to travel, when what is desperately needed is to make Forest Hill safer, on both north and south ends of the street. I do not currently live in the neighborhood, I did for 7 years until 2007, I still travel the road when need be. However, the need for widening was not present then and I do not see the need for it now. I ask you to spare the residents of Forest Hill Neighborhood the time, the heartache, expense and confusion of having to deal with the proposal of Moreland-Altobelli/GDOT for the Forest Hill Rd. area. I oppose the cujrrent Moreland-Altobelli/GDOT plan for FHR. Several recognized urban planners have assessed this road and agree that the plan is neither optimal or neighborhood friendly. This plan not only decreases safety by increasing speed, but will ultimately ruin a solid middle-class, tax-paying Macon base. The current Moreland-Altobelli/GDOT plan not only encourages speeding but it doesn't even address the problems that occur at theintersections of Ridge AVe. and FHR or at Wimbish Road and FHR....no turning lanes...no nothing! Though we oppose the FHR project as currently designed by Moreland-Altobelli/GDOT.we very much favor the resurfacing of FHRas soon as possible. We would like turning lanes at intersections and are n ot oposed to sidewaalks and/or bicycle lanes. With an increase in traffic on FHR, has there been any investigation as to how the excess traffic will effect the surrounding roads? I am opposed to the Moreland -Altobelli/Gdot plan for Forest Hill Road. Forest Hill Road needs to be resurfaced and have its potholes fixed. It does not need a multilane thoroughfareright in the middle of a very old and lovely residential section. Thank you for your consideration regarding Forest Hill Road. I am a local attorney and businessman in Macon as well as a lifelong resident. I am writing to express my opposition to the current Moreland-Altobelli (GA DOT) plan for Forest Hill Road. I am concerned about safety for the neighborhood given the increased traffic and increased speed which the above-referenced plan would generate. I urge you to give due and careful consideration to the citizen's proposal which is more sensible for everyone. Thank you. I have been a resident of Overlook Avenue off of Forest Hill Road for 21 years. If there is needed expansion of the road, I would be aware of it. I want to go on record as being opposed to the current plan to expand Forest Hill Road. 1. Projected traffic volumes are grossly overstated. 2. Traffic requirements can be safely accommodated without compromising the residential neighborhoods on or bordering FHR. 3. The design should provide safe and convenient access to adjoining properties. Speed and the divided median south of Wimbish compromise such access. 4. The design speed should be consistent with posted speeds; both should ideally be 35mph given the nature of the adjoining land uses (residential and institutional). 5. The rural-urban character of the road should be respected and preserved - it and similar roads in north Macon add to the aesthetic appeal and livability of the area. This means minimizing removal of trees. 6. The FHR/Wimbish/Northminster intersections should be combined and ‘normalized’ per the plan provided by Rich Chellman. This is safer and less costly than the proposed design. A roundabout should be seriously considered, given GDOTs new review criteria. 7. The center (third) lane north of Wimbish should be eliminated, with dedicated turn left lanes on the busier intersections. 8. Pedestrians should be accommodated, preferably on a detached multi-use pathway that can follow the terrain rather than force exaggerated cut-and-fill expansion of the roadway cross section. 9. Drainage impacts in the project area and downstream should be reduced through reduction of the paved surfaces. The current (and effective!) swale system should be retained where possible to reduce the rate and volume of runoff. I have driven down Forest Hill Road for the past 25 years and have never had any serious traffic problems. This is a beautiful stretch of road and ought to be left that way. The atrocity leveled on the tax payers with the Northside Drive expansion is the shame of our community! There is NO WAY the traffic count on that road ever justified such a pork project and now it is dreadful to drive from Forest Hill on Northside Drive. I feel shame for our community when I see such waste of tax payer money. Let's not be hypocrites. No who pays the bills on this project, we know the money comes from the taxpayers. If we're ever going to have to start trimming our Federal and local budgets, it needs to start at home. We cannot continue to sell our community and our country's fiscal well-being down the road for a few fleeting concrete and tar jobs (typically not even Macon based labor force!). STOP THIS FIASCO NOW and go back to the drawing board with an eye toward tweaking the road with traffic calming devices and some resurfacing. Mayor Robert Reichert must fulfill his campaign promise that: "he would apply modern urban transportation planning techniques which protect the integrity of our neighborhoods and the quality of life in our community to all road projects in the city, including Forest Hill Road." The pending TSPLOST list includes projects to widen Bass Road from Zebulon to I-75 to Riverside Dr. One has to ponder how this would affect the traffic count for FHR and Wesleyan. The scope of the FHR project is reminiscent of the Houston Road widening project. Houston Road is practically deserted most times of the day and the choke point is still present at the Seven Bridges intersection at Ga. 247. This 1994 SPLOST project was a waste of time and money, just as the FHR GDOT plan will become if pursued. I'm not for any road/street "improvement" that would allow increased speed through residential areas such as that along Forest Hill Road. Speed is a killer. I travel Forest Hill Road every day and I am opposed to the plan for Forest Hill Road as designed by Moreland/Altobelli/GA Department of Transportation (GDOT) that will destroy thousands of trees and a lovely neighborhood. I have attended and taken part in the Friends of Forest Hill Road and Caution Macon neighborhood discussions; therefore, I know that there is a kinder, gentler and very traffic efficient plan designed by internationally acclaimed civil engineer, Rick Chellman, which was proposed in mediation to the GDOT and to our elected city and county officials. The road as planned will destroy homes because it will be just a few feet from the doorways of many homes. It will increase the speed on the road, it will not be safer. I would like to see the condition of Forest Hill Road improved with turn lanes created at the intersections or roundabouts created to keep traffic moving I think sidewalks and bicycle lanes would be a plus on Forest Hill. History shows us that many roads planned for Macon, such as I-75 being cut through the middle of our town, destroyed historic homes and neighborhoods. At the off/on ramps this encouraged businesses which are now a blight to our historic, once beautiful areas. All over town, there are wider roads with empty stores and empty office buildings. If this neighborhood falls, this will also be the case on Forest Hill Road. I cannot afford and many of us cannot afford to leave the homes we've invested in to take "flight" to get away from this neighborhood destruction. I pray that our elected officials will be brave enough to stand with their constituents along Forest Hill Road and the adjoining areas. I ask that they please reverse this old mind set that this money ($20,000,000.00) must be expended on a huge road widening project that is not needed and that we do not want. Traffic counts show that Forest Hill is a less traveled road than the traffic count projections indicated years ago when taken by the road engineers from Moreland/Altobelli. Road improvements, not destruction of trees and homes. I oppose the current Moreland-Atobelli/GDOT plan for this road. 1. The segment from Wimbish to Northside provides a nice neighborhood amenity, sidewalks, but does not provide enough protected crosswalks for pedestrians to safely cross the road. 2. The middle of the road, continuous turn lanes are harrowing and dangerous based on my experience on other Macon roads because there are too many people trying to turn/cross the roads in too many directions and they would present the same problems in this case. 3. The new road will destroy the pleasant, neighborhood feel of the area. 1. Eliminating the proposed continuous middle turn lane and providing 3 or 4 limited turn opportunities via strategically located, turn lanes that include curbed planter medians would be safer and easier to navigate based on my experience in other communities and soften the visual and environmental impact of the widened road in these areas. Crosswalks could be integrated into the design and the planter medians would provide a safe haven for pedestrians crossing the street. 2. A new road surface with wider shoulders to accommodate disabled vehicles and work crews would enhance safety without significantly disrupting the pleasant, natural feel of the road. 3. A roundabout at the Wimbish, Forest Hill intersection would keep traffic moving smoothly. They work well in other communities I’ve visited. Don't cut the many of hundred of trees marked by Moreland-Altobelli during the FHR tree study. We need to decrease the speed and increase the safety of Forest Hill. I have lived in Macon all my life and I enjoy the scenic drive down Forest Hill Road and have friends that have lived on that Road for a long time and have a great concern for the destruction this event will cause. I agree Forest Hill Road needs some work but the only work it needs is to be resurfaced and have all the potholes fixed. You need to also find ways to reduce the speed and increase the safety of that Road. BUT YOU DO NOT NEED TO MAKE THE ROAD A MULTILANE THOROUGHFARE. The people that live on that Road have lived at that location for a very long time and deserve to have a say in the way they want their community to be seen and right now is has a lot of history and beauty and needs to be keep that way. Say NO to the thoroughfare and YES to preserving the beauty of Forest Hill Road. As a lifelong resident of North Macon, the current FHR design is a concern to me. While there is additional traffic and congestion at certain times of the day, that is no different than any other street in Macon, even the ones with three and five lanes. With some much simpler and less expensive changes made for safety purposes, FHR can easily handle current and future traffic flow. As for how those numbers were obtained, why should anyone trust the information from Moreland-Altobelli, when they are the ones that stand to benefit the most from this project? Question: How many of our decision makers live directly on FHR and will have their quality of life and property values negatively affected? How many are there that could possibly benefit if planning and zoning changes are eventually made? I do agree with those that have addressed the issue of Bass Road. With several area schools that this road serves, the current and future development of the Bass/I-75 area, and being a much used route from West and South Macon to the new mall, it would be a much better use of the funds available. It is time to admit that the current plan is not what is best for Macon and make only the minimal changes that have been proposed by a qualified professional. Our confidence in many of our elected officials is at an all time low. It is time to show some respect to those that have kindly put you into office. Please do not continue with this current plan simply because you have the power to do so. "The proposed three lanes from Wimbish to Northside is due to the large number of driveways and street intersections which provides for turning lanes. If they had tried to put turning lanes at every intersection, it would have been a problem. The "Y" intersection at Wimbish is another problem." Residential driveways do not constitute a major problem to traffic flow. Most residential traffic may occur one to three times day – some not at all. There are not a large number of major street intersections along the entire length of Wimbish to Northside. The traffic at major intersections can be handled with turn lanes. Creating a third lane the entire length of Forest Hill Road is major overkill. It will most certainly create more water runoff, and as you know, as an engineer, the state DOT does not have to create holding ponds to contain the added runoff as architects and engineers do when we are involved with commercial building. Flooding is already a problem in some of the neighborhoods bordering Forest Hill Road, and I dare say the asphalt jungle will add to the problem. This roadway is along R-1AAA neighborhoods – the highest designation by Planning and Zoning for residential use. Widening the road to three lanes will assuredly affect property values because of the increased speed afforded by the three lanes and taking away from front yards as well as the removal of trees along the way. I live off Forest Hill Road in Brookstone town houses. I travel this road frequently, and the times that traffic increases to the point it becomes a minor problem is in the morning when folks are going to work, at school closing in the afternoon, and in the evening when folks are returning home from work. To alleviate traffic at these times by creating a third lane the entire length of Forest Hill Road is poor planning, at best. The people who have written these letters may not be traffic or civil engineers, but they see the practicality of a more sensible solution. To Mayor Robert Reichert, Commissioner Sam Hall, and others who are making the decisions concerning Forest Hill Road. But what you are proposing for Forest Hill Road is NOT progress...it is a useless spending of tax-payer's money as well as the ruination of a lovely old neighborhood. The mediation team did everything possible to come to some agreement which would be mutually beneficial to both sides but the Moreland-Altobelli representatives were never willing to give an inch. Our primary concern is and always has been the safety of our road. In order to back-up our arguments for safety, we thought is best to hire our own engineer. This, of course, cost money and so we sent letters out to this "middle-class" community and collected $10,000.00. We then began a search for the "best" engineer for the traffic problems existing on FHR. We found Rick Chellman from Portsmought, New Hampshire, an internationally acclaimed engineer whose speciality is Traditional Neighborhood Development and New Urbanism. Mr Chellman has authored and co-authored numerous works on topics related to the traffic and transportation aspects of TND/NU design, He came to Macon, met with the mediation team from both sides and we came to an agreement on the part of FHR from Wimbish to Northside Drive. We felt so relieved and blessed that the Moreland-Altobelli representatives had accepted Mr. Chellman's plan which "fixed" all the traffic problems, was less intrusive ,and kept the traffic at a safe speed. But, the very next day, after Mr Chellman was gone, we were informed by Moreland-Altobelli mediation representatives that they had changed their minds. We then again approached the County Commissioners and they finally agreed to bring Mr. Chellman back and that they,personally, would talk with him , This was in August or September of 2008. Soon after that, because of the economic crisis, GDOT asked for the suspension of any work on the FHR project as they were in the midst of prioritizing their road projects to determine their individual importance. On October 8,2008,Charles Bishop the Chairman of the Board at that time, wrote a letter to Mr Chellman advising him of the decision by the GDOT. He then wrote and I quote "if the project is put back on the list, the Board of Commissioners will gladly extend an invitation for you to come to Bibb County and present your ideas regarding the reconstruction of Forest Hill Road." I, of course, realize that Mr Bishop is no longer chairmen but all the other members of the Board are the same:Lonzy Edwards, District 1, Bert Bivins, III, District 2, Elmo A. Richardson, District 3, Joe O.Allen, District 4. Does the word of the Bibb County Board of Commissioners mean nothing? We would ask you to do what is fair to us and right for you. We would like to feel that we can trust our city and county leaders. Do what you promised to do. Let Mr, Chellman come back and at least listen to his ideas. It's time for Bibb County to get out of box, look for new ideas. Other cities ard doing it and thriving. Give us something to be excited about and maybe Macon will start growing again. More that anything, we want leaders whose character is infallible. Please show us that you meet that criterion. My husband and I pray for you, along with the leaders of our nation, every day- that you would, first of all, look to God for guidance and that you would truly search your hearts so that you can be confident that your motives and your decisions are neither self-serving or unfair. We will continue to do so. I recently sent you an e-mail expressing my opposition to the GA DOT plan for Forest Hill Road. I neglected to include my home address and phone number. My address is 105 St. Croix Drive, Macon, Georgia 31210. Home phone is (478)477-2470. Thank you. I moved to Macon/Bibb County in 1981 and travel FHR frequently. The only problem I've had other than the growing potholes is at the intersection of FHR and Ridge Ave and traffic backup at the Vineville Road and FHR intersection. Fixing these problems seems a lot better to me than bulding a practically new three road from Northside to Wimish that would increase the backup at the above mentioned intersections. Thanks in advance for considering citizens comments. We need to rethink this project. The road does need to be resurfaced but not widened. As a former resident and frequent traveler of FHR, I have been interested in this project since its inception. I still have family that resides on this road that can tell you stories of when the entire road was still dirt. Due to numerous factors, the entire scope of the project has changed over the past 15 years. The logistics in the north Macon area have changed and original plans for the road to be used as a corridor to the Macon Mall area are no longer valid. Projected traffic counts have never materialized and traffic has most likely decreased since the relocation of the anchor stores from the Macon Mall to the new Riverside Crossing area. The current DOT plan is an excessive use of Federal/State/Local funds and should be overturned so the road can remain safe while retaining its neighborhood appeal. By accepting the plan offered by the citizens of Forest Hill Road, DOT can potentially save millions of dollars and acquire less land from the property owners. To summarize my concern, I am opposed to the current DOT plan and in favor to the citizen’s plan for the Forest Hill Road project. Thank you for allowing me to voice my opinion on this matter. I hope you can get these comments to the right place to be counted. I couldn't. Yes, we would like to see improvements. Better surface to ride on, center lines and traffic markings that can be seen. Do you have rattles in your automobile? Travel FHR a few times and you will have all the squeaks and rattles you can handle for a life time. A center turn lane would be great. Hopefully this will stop the rear enders that happen. And by all means drop the speed limit. Please consider roundabouts and repairs on Forest Hill Road. It is a crime to destroy the beautiful neighborhood and drive of Forest Hill Rd. Macon need all the the attractive areas, and the tax base that they deliver, that it can get. Keep Forest Hills healthy, resurface the Rd, don't destroy the neighborhood. Today is the last day for comments to the draft TIP and I would like to add some additional comments to an earlier post. Macon leads the state in pedestrian deaths and might lead the state in three and five-lane “suicide” lane roads. I would like to see the TIP, MATS/MPO, GDOT and FHWA address the troubling statistic of Macon’s pedestrian deaths by converting many of our 3-5 lane roads into much safer configurations for pedestrians and bicyclists by removing the middle “suicide” lanes and using the already owned ROW and pavement to add at least one sidewalk and bike lanes in each direction. Some suggested roads that need this redesign quickly come to mind: Zebulon Road from Forsyth Road to Lake Wildwood, Forsyth Road from Vineville Avenue to Howard Middle School, Forest Hill Road from Vineville/Forsyth Road to Northside Drive, Northside Drive from Bass Road to Riverside Drive, Riverside Drive from downtown all the way to the new Shoppes at Riverside shopping center, Forsyth Street from its beginning at Vineville to the Medical Center and into downtown, Pio Nono from Vineville to Highway 247, Eisenhower Parkway from MLK Jr. Boulevard to Macon College, and Mercer University Boulevard, from Mercer University to Tucker Road, and Tucker Road from Forsyth Road connecting the two private schools of Stratford Academy and Presbyterian, to Thomaston Road. Thank you for making our citizen’s comments part of the official and public record in the MPO/MATS TIP. I travel FHR everyday and find that it is in much need of repair. Cars are veering right and left to avoid potholes that can cause potential problems to their cars and tires. Resurfacing needs to be a priority. As far as the long range plans, please listen to the citizens whose property and homes risks being devalued by a mass effort to widen FHR. There has to be compromises on both sides I agree, but please listen to the requests made at mediation by the citizens, a Rick Chellman plan, turn lanes, concerns for speeding safety and concerns of mass traffic at an already compromised intersection at Vineville Ave. Surely there is a solution to road safety without devestating a well established neighborhood. These neighborhoods are a pride to Macon, please do not destroy them for the sake of progress. Please use a more conservative approach to the Forest Hill Road Project. Resurface the road, give us some turn lanes and or roundabouts, sidewalks for our children who walk to school and our neighbors who would like to walk to church. If our streets were safer, people might walk or ride bicycles more. What a novel idea, a safer, healthier, happier, more energy efficient neighborhood at a fraction of the cost. I live in Lundy Terrace off of Old Lundy Rd. and travel on Forest Hill Rd at various times of the day. I have noticed that Forest Hill Rd is not nearly as busy as Wimbish Rd, Wesleyan Dr, Pierce Ave, Ingleside Dr, Bass Road and Rivoli Dr. There are no plans that I know of to turn them into a structure that resembles a major thoroughfare. I am certainly not suggesting that this happen to these roads, but it does make one wonder exactly what is going on with this FHR project? I am opposed to the Moreland-Altobelli/GDOT plan for Forest Hill Road. multilane thoroughfare right in the middle of a very old and lovely residential section which I often travel through and love to do so. My name is Patsy Lewis. I live on 200 Pierce Avenue, 109 B, Macon, Georgia 31204. My phone number is 478-742-9682. Please make Forest Hill road safer, not faster or wider. My grandmother has lived on that road for years and I travel it frequently. Thank you for hearing my concerns. I oppose the Moreland Altobelli design plan to widen Forest Hill Road. It is bewildering with all that has happened in economic, political, technological and other spheres in the decade plus since this design was proposed that this unwise project continues to be imposed on a community that doesn't want it and upon a City/County that has so many other unmet needs. I recall that the County School System engaged a Construction Management firm for a few years that of course billed the system for its presence. However, it was only after the Construction Management firm was dismissed that any significant projects actually got built. I think the County should follow the school system's example and finally dismiss the Moreland Altobelli Consultants. My residence includes low lying bottom land which serves to filter road runoff before it drains into Sabbath Creek. As I recall, when the question of added runoff was raised, the consultants replied that there had been no detailed study of the extra runoff and its effects that will accompany the vast amount of addition impervious surface in the proposed design. In order to side step water quality concerns and regulations that might necessitate changes in the design, the consultants and authorities merely used a wider watershed to "dilute" the percentage extra runoff volume that the new road would bring. The Forest Hill Road area is one of the finest communities in Macon and could be a showcase of 21st century transportation technologies that enhance safety, integrate bike and pedestrian traffic, and improve auto fuel conservation all while sustaining the beautiful in town forest ecosystem. Past time to stop throwing good public money into a bad outsider design that will ridiculously disrupt lives, callously destroy valuable trees, and diminish water quality. I support my neighbors and the citizen mediation team that has worked so hard to bring our community a better plan which is much less expensive and less destructive than the present proposal. Forest Hill Road--Every one of the original reasons for the design of the road, as stated in the Environmental Analysis has been proven to be either in error or misleading USING GDOT STATISTICS AND INFORMATION!! For example, the projected annual 2% traffic growth is huge for a road and is ridiculous. The accident data is seriously flawed; the road is currently safer than most. (I can prove this beyond any shadow of a doubt.) In subsequent EA's the language has been changed, but the design has not been altered to address the actual conditions and needs of the road. The public deserves to have these problems addressed with the critics--the people who have debunked the errors--in the same room with the road designers and the press present so a proper democratic light can reveal the issues and evidences concerning this use of the public tax monies. Public input and opinion--contrary to FHWA recommendations--has yet to be sought before designs are completed. Public comments after designs are completed are largely ignored and officials often complain it would be too expensive to change the design. There are not sufficient bike paths and other paths to meet the needs of Macon's jogging and biking community. Past and current designs do not reflect quality of life considerations for resident/communities affected by the road designs, nor do they reflect modern urban design principles. Macon deserves better. Morland Altobeli officials have consistently, over the years, insisted the center lane, often called "suicide lanes," could be used as merging lanes by cars pulling out onto the road despite public protest that this is illegal. A judge wrote in the Macon Telegraph recently that this is in fact, an illegal use of the center lane. So, our roads have been designed with an illegal assumption about how the road may be used. Would the roads have been designed differently if the designers knew the law? Macon deserves better. Macon deserves better than this TIP. The DOT does not need to supersize the Forest Hill Road corridor as the plans they are continuing to pursue call for. The traffic count projections for this road are way off what future traffic will be, as anyone in Macon can attest. The road is charming and shady and an asset to that part of Macon and needs some design improvements at some of the intersections, but it does not need to be overbuilt. In addition, at this time of budget-crunching, it would be fiscally irresponsible to over-spend on this project rather than pursue a more cost-effective, and neighborhood-friendly, solution. This project has been controversial from the get-go. The neighborhood has spent untold hours opposing this design. It makes no sense that the politicians and the DOT continue to ignore the wishes of the people who will be most negatively impacted by this bad road design. The road does not exist in a vacuum, and the wishes and plans of the neighborhood should be taken into account. Go back and start all over. Chances are, a new study will show no need or purpose for the design as it now is and will support a design which is less destructive to this part of our community. Georgia DOT, Chief Engineer, Gerald Ross has FAILED to answer our reasonable requests for information that could lead to a better design for Forest Hill Rd (details below). Mr Ross's inaction may cost tens of million$ of wasted Taxpayer's Money from State and Federal Transportation Funds. . .
(We) have not seen any response from my email sent to you on May 23rd. Please indicate when we might see your response to the numerous questions and issues below. As before, please reply-copy to all the parties of this discussion. .
to show how reluctant you and Moreland-Altobelli and GDOT seem to be to disclose information about this Forest Hill Road project. You appear to be hiding a lot of information away from public scrutiny on this massive public project costing us Taxpayers over $30 Million according to recent estimates. It makes little useful provision for bicyclists and other non-motorized forms of transportation despite the fact that such forms of transportation would contribute to lessening America's dependence on oil, esp. foreign oil and despite the fact that bicycling and other non-motorized forms of transportation greatly contribute to individuals' and society's physical health. The TIP PROVIDES LITTLE IN THE WAY OF GENUINE CONNECTIVITY between residential areas and commercial/shopping areas. In a community, such as Macon, with a high rate of poverty it would greatly benefit many individuals if they could make shopping trips (such as going to the grocery store) without having to use a car - cars are very expensive to operate and an increasing number of people cannot afford to do so, or they operate them but can't afford the required maintenance thus making them a potential safety hazard. The TIP should incorporate bicycle facilities, such as striped lanes along ALL MAJOR AND MINOR ARTERIAL ROADS IN THE MATS AREA. This could be done by utilizing the roadbed now devoted to center turn lanes along almost of all such roads and using that space, typically 12-14 feet, as striped bike lanes along both sides of such arterial road, such as Riverside Dr., Vineville/Forsyth Ave/Rd., Zebulon Rd., Northside Dr., Pio Nono, Houston Ave, Eisenhower, Rocky Creek Rd., Bloomfield Rd.& Dr., & Napier, to name a few. There is plenty of existing roadbed to accomodate bike lanes without having to acquire new right of way and construct new bike lanes. However, there is neither the political will nor the foresight to do as I suggest and this leads to the proposed TIP being very deficient, shortsighted and inadequate to meet the future needs of both Macon and the USA in general. The attached e mail, sent to MR. Greg Brown of the Macon-Bibb P & Z, should be included as part of this comment. That e mail was sent regarding the preparation of the Macon-Bibb County Bicycle-Pedestrian Plan. I am a member of the committee formed, under the auspices of MATS/Macon-Bibb P & Z, to update the Bicycle-Pedestrian Plan. 1) bike lanes, replacing the center turn lane, along Zebulon Rd. from Forsyth Rd. to Lake Wildwood. This would afford connectivity between/among the numerous residential areas adjacent to Zebulon and the commercial strip, including food stores, along Zebulon, near I-475. This would also connect with the suggested bike lanes along Vineville/Forsyth, from near the Forest Hill Rd intersection out to the Zebulon Rd intersection. 2) bike lanes, replacing the center turn lane, along Northside Dr. from its intersection with Riverside Dr. all the way to the Northside/Rivoli intersection. This would afford connectivity between adjacent residential areas and the commercial strip, including 2 grocery stores on Tom Hill (at the Tom Hill Dr./Northside intersection) along Northside/Tom Hill. This route would also connect to the suggested bike lanes along Riverside as well as the proposed bike lanes along Rivoli Rd, which were to have been funded with an earmark. The suggested bike lanes along Forest Hill Rd. would also feed into this suggested route along Northside. I wish to voice my concern on the Forest Hill Road project. I live in the area, and feel that widening is not needed, and the destruction of trees is detrimental to the neighborhood. Repairing and repaving as soon as possible should be a priority, with turn lanes at certain intersections. Please do not waste tax payer money on a project that is not necessary. This comment is in regard to the proposed widening of the Jeffersonville Road beginning at the intersection with Emery Highway. I believe this project will encrouch on property which is part of the Ocmulgee National Monument. Such a project I believe will require a full EIS to complete. I believe this project will impact several properties which are eligible for the National Register of Historic Places due to their age and historic value. I believe there are possible environmental justice issues invovling this project. I believe there is no justification for this widening project based upon any reasonable set of traffic or safety standards. I believe the proposed project would create yet another high speed through route in place of an historic neighborhood road. Comment postings may take up to 24 hrs, because this process is being done manually. All postings are ordered chronologically - by time of receipt. The road has been designed and re-designed by professionals. It's time to stop listening to the obstructionists. I am not sure of every detail of the proposed improvements to Forest Hill Road; however, my understanding is that it will have three lanes from Wimbish to Northside, sidewalks, and underground utilities. I also believe that Old Lundy will be realigned to meet Lokchapee, and that there will be a traffic light at the new intersection. If all of this is correct, I support the current plan. Having lived in Macon "only" eighteen years and near Forest Hill and Lokchapee for eight, my experience with Forest Hill Road is limited to the modern age. Forest Hill is not a quiet neighborhood street, nor has it been since I have called Macon home. It is the best way to get from Vineville and points west to Northside and the new development out Riverside and at Bass and I-75. I do not have access to official traffic counts, but it seems that traffic has increased since the opening of The Shoppes at River Crossing. I have seen and heard numerous accidents caused by people not paying attention to cars stopping to turn left. The middle lane will help alleviate that. It is difficult and sometimes scary (especially with a young driver) to turn left onto Forest Hill from Lokchapee. The lights at Northside and Wimbish are not timed properly so one also has wait a long time for a break in traffic. You cannot see what is coming around the curve. A traffic light would take care of that problem much more thoroughly than lowering speeds. I am originally from the Kansas City area, where roundabouts and traffic circles are used. They look pretty; many with parks and fountains in the center. Nearly every spring there are stories of young drivers being killed after driving too quickly around a traffic circle in their new graduation gift-cars. Roundabouts seem like a good idea, but they are confusing to people who are unfamiliar with an area and are dangerous to those foolish drivers who try to take them too quickly. They also take up more space than a traditional intersection. I think everyone agrees that sidewalks enhance the quality of life in an area, and underground utilities look better and cut down on power outages from winds. I know bike lanes have been deemed too costly, but they would add so much to the community and improve the aesthetics of the road. I understand the nostalgia the Citizens Advisory Committee attaches to the Forest Hill Road they grew up with. Unfortunately, that road no longer exists, and the reality is dangerous and ugly. I will admit the goat that used to live at the house across from Lokchapee was rather charming in a way, but I was so glad to see the old school bus and the junk on that property go with the house. I will be even happier to see Old Lundy form a proper intersection with a stoplight where that stood. Please don't waste anymore time squabbling over memories. have not been put off for 15 years. so many people would not be moving out of Macon and Bibb County. I feel the FHP is a good use of our tax dollars and should be completed as soon as possible. City of Warner Robins has a citizen committee to decides what roads get what.